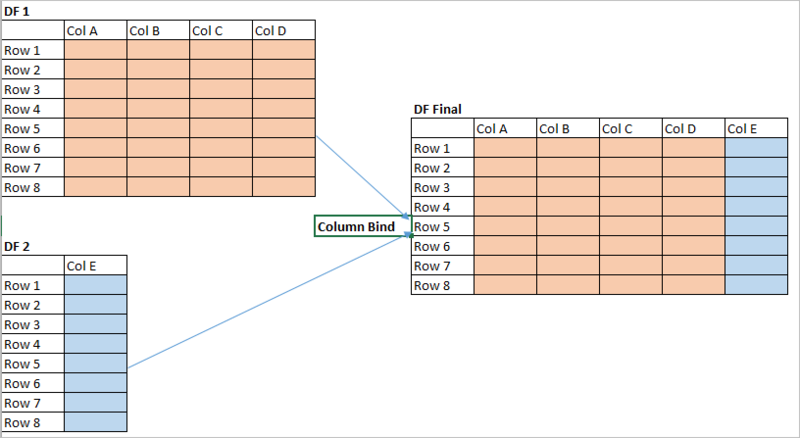 Column Bind – Cbind in R appends or combines vector, matrix or data frame by columns.Lets see column bind in R with an example. Note : The number of rows in two dataframes needs to be same. x1,x2 can be data frame, matrix or vector. # cbind in R: column bind the data frames.